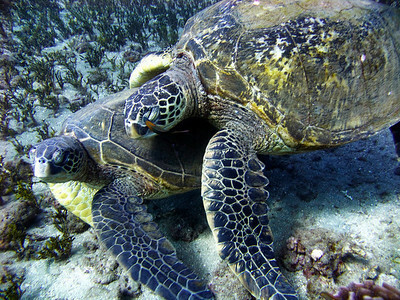 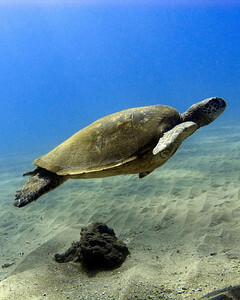 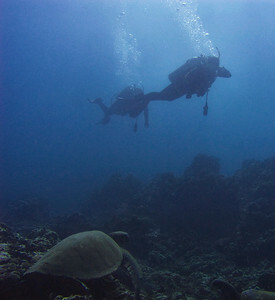 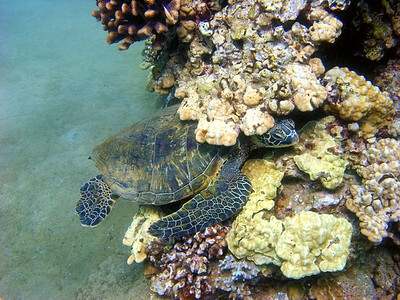 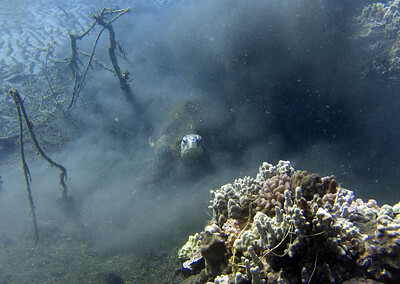 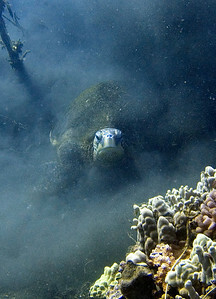 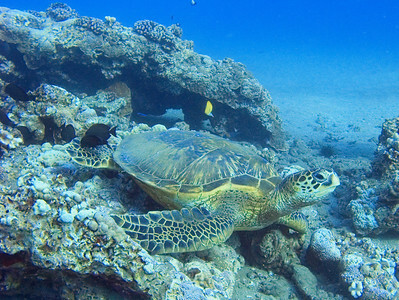 Beautiful and endangered, we are lucky to encounter Green sea turtles (Chelonia mydas) on almost every near-shore dive in the waters off Maui. 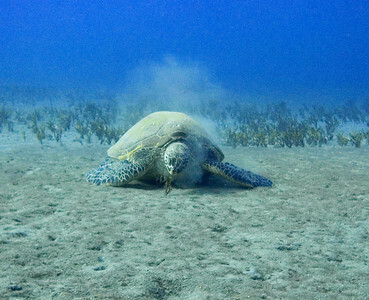 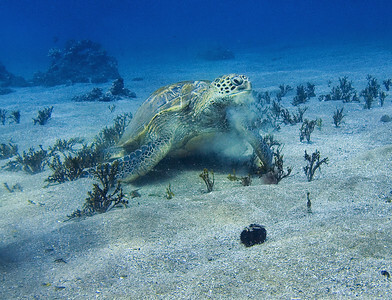 Green sea turtle (Chelonia mydas), having a Halimeda snack. 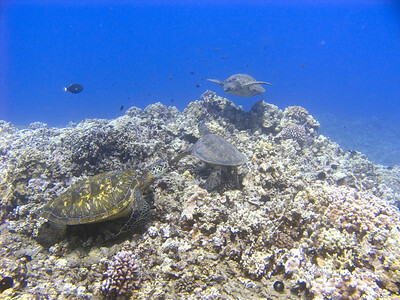 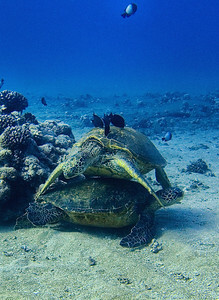 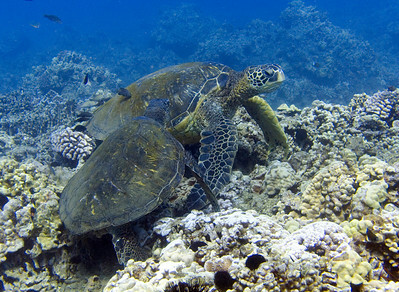 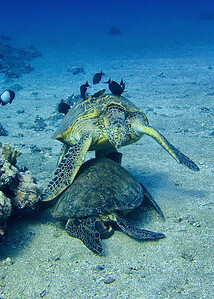 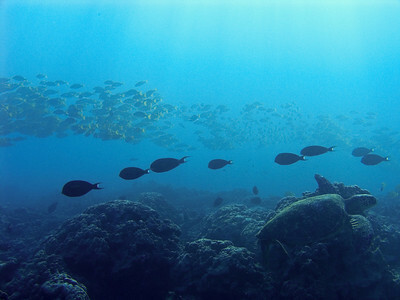 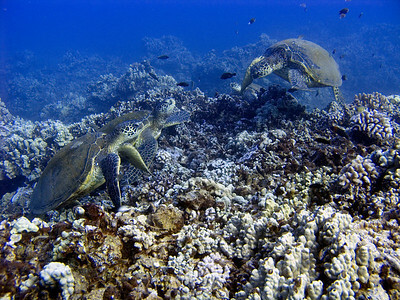 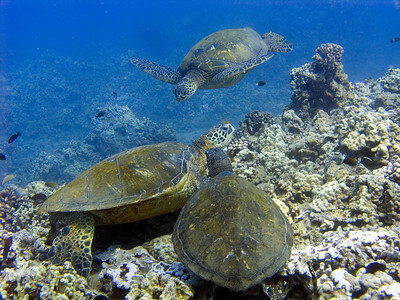 Green sea turtles (Chelonia mydas)--stack 'em up! 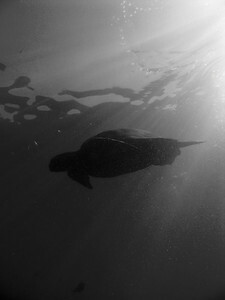 Green sea turtle (Chelonia mydas), and one of the largest I've ever encountered. 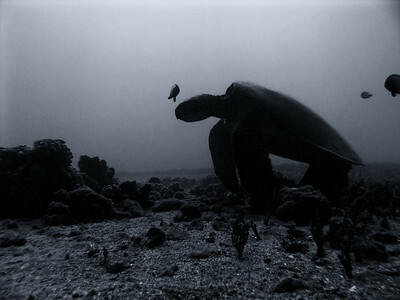 BIG girl. 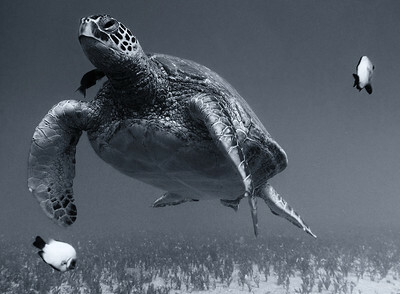 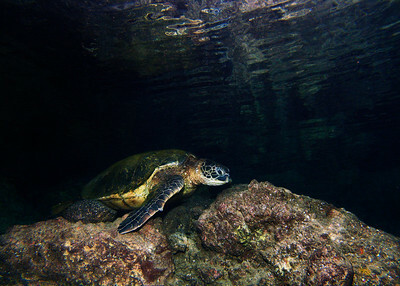 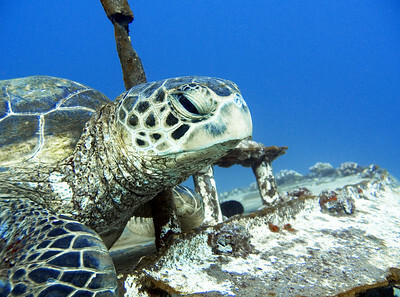 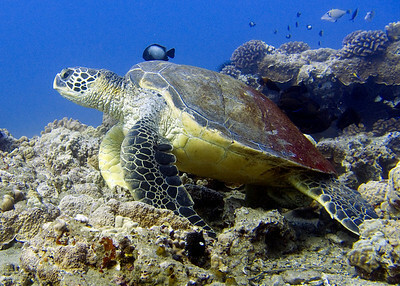 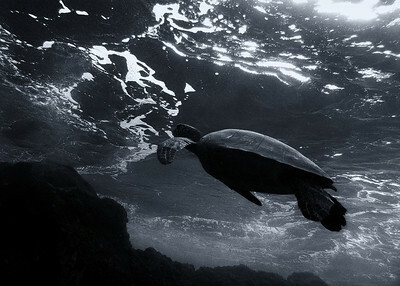 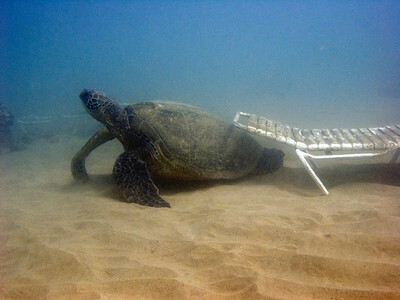 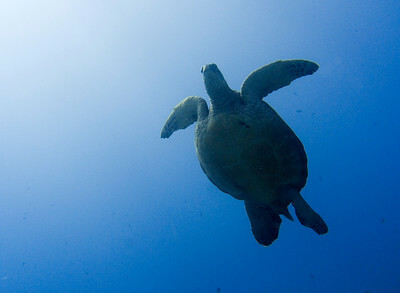 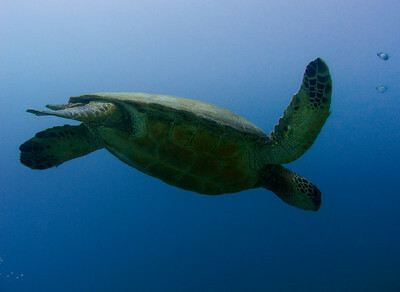 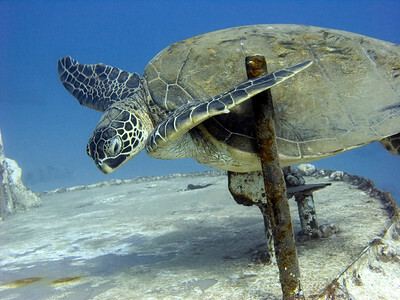 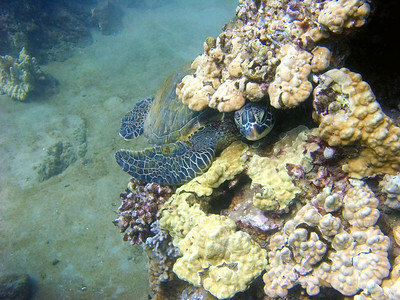 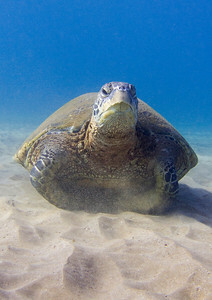 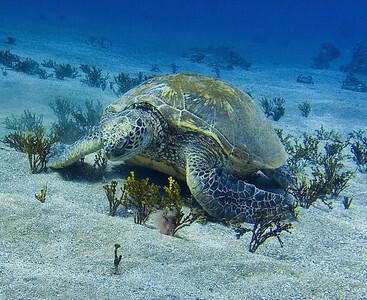 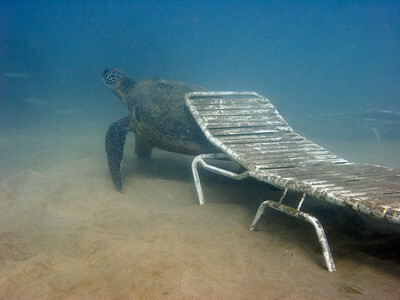 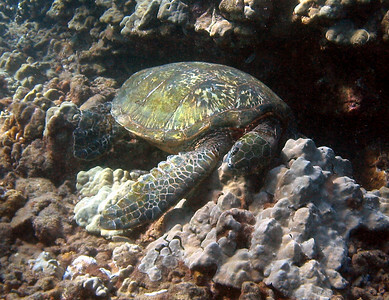 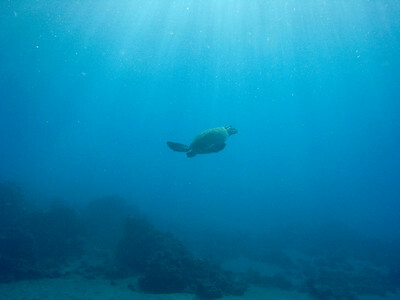 Green sea turtle (Chelonia mydas). 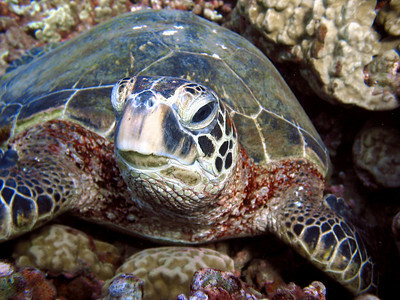 We've all had mornings like this, right? 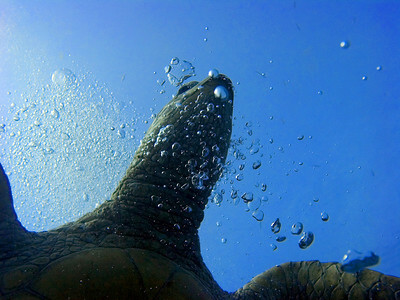 This is one of the first underwater pics I ever took, with an old 3 mp Canon G2...but I'll never get a pose this good again.